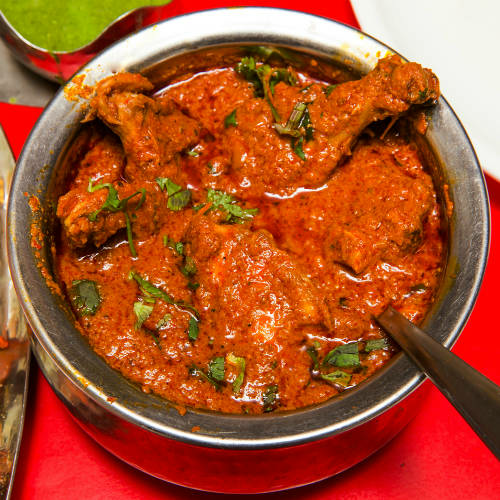 Masala chicken is a traditional non-vegetarian recipe, which is a delicious blend of aromatic spices and tender chicken. This North Indian chicken recipe is perfect for special occasions and can be accompanied by rice, naan butter or chapati. Here's how You can prepare this delicious chicken recipe in five simple steps, described below. In addition, you can add your own touch to this interesting chicken recipe.We bet these dishes will make your dinner / lunch experience even more delicious. Masala chicken is one of the most delicious non-vegetable preparations. Made with readily available ingredients. It may seem difficult to prepare, but we have found the easiest recipe to prepare this delicious treat. Here's how you can cook it, like a restaurant, at your convenience. Soaking the pieces of chicken in warm water with a small pinch of salt will reduce the time needed to cook the chicken and make the pieces soft and tender. Then clean and rinse the pieces properly. Keep this cleaned chicken aside and make a dough of 2 pieces of ginger, garlic, mustard seeds, cumin seeds and black pepper. Then take the chilli powder, the coriander powder, the turmeric powder and a quarter cup of water. Crush them all and make a dough. Now, grind the grated fresh coconut seeds and poppy seeds together and make a thin paste. Heat the oil in a pressure cooker, fry the onions until they turn golden. Add the curry leaves and salt, mix with the ginger garlic spice and fry for three minutes. Now add the dough powder to chilli, coriander and turmeric. Mix well and add the chicken pieces. Fry for five minutes. Add the tomatoes and fry for five minutes with a cup and a half of water and cook for about 10-15 minutes. When the chicken is tender, add the poppy seed paste to the coconut and cook over medium heat for five minutes.Finally, add the coriander leaves, mix well and remove from heat. Serve hot with butter naan and raita. Chicken (broiler) (skinned and cut into pieces), Ginger (ground with garlic), Garlic, Onions, Tomatoes, Cumin seeds, Garam masala, Bay leaf, Salt, Turmeric, Coriander seeds, Red pepper, Oil, Coriander leaves, Cream (for garnish)..